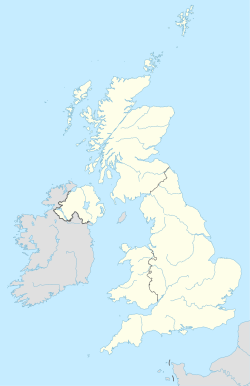 The RG postcode area, also known as the Reading postcode area, is a group of thirty postcode districts in England, which are subdivisions of twelve post towns. These postcode districts cover west and central Berkshire (including Reading, Bracknell, Crowthorne, Hungerford, Newbury, Thatcham and Wokingham) and north Hampshire (including Basingstoke, Hook, Tadley and Whitchurch), plus a small part of south-east Oxfordshire (including Henley-on-Thames) and very small parts of Buckinghamshire and Wiltshire. Mail for the area is sorted at the Thames Valley Mail Centre in Swindon. It was previously sorted at the Reading Mail Centre, which closed in 2010. The original RG3 district for west Reading was recoded to RG30 and RG31 in January 1995, due to the rise in population in that area. In the same year, the original RG11 district for Wokingham and Crowthorne was recoded to RG40, RG41 and RG45, while the northern part of the RG12 district for Bracknell was recoded to RG42. RG postcode area map, showing postcode districts in red and post towns in grey text, with links to nearby GU, HP, OX, SL, SN, SO and SP postcode areas.